New Blackberrys hitting T-Mobile, Sprint and Verizon | BlackBerry Blast! 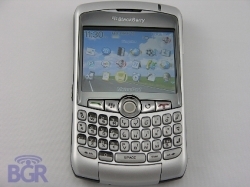 According to a Merrill Lynch report, the BlackBerry 8300 is heading to T-Mobile in May. Also included in the report is the news that a CDMA version of the BlackBerry Pearl will be released on Verizon and Sprint on May 7th. "Firm looks for two positive catalysts near term: 1) RIM's FQ earnings call on 11-April; and 2) Potential launch of Verizon/Sprint Pearl and T-Mobile 83xx WiFi Blackberry on 7-May, coinciding with RIM's Capital Markets Day. MLCO recommends buying May US$140.00 call options ahead of the upcoming catalysts."